Join us in January for our annual Robbie Burns Dinner! A​ ​celebration​ ​of​ ​culture​ ​through​ ​Scotland’s​ ​most​ ​famous​ ​poet. 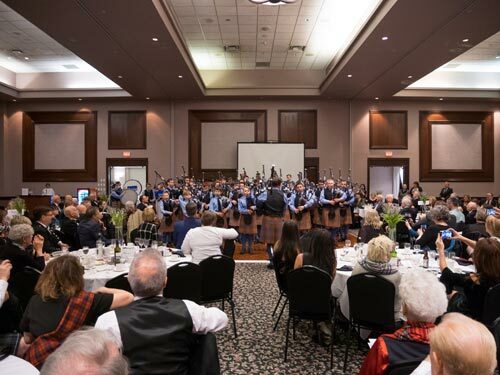 On Saturday, January 25th, 2020 the Robert Malcolm Memorial Youth Pipe Band will be celebrating twenty-sixyears of excellence and leadership for youth by hosting their annual Robbie Burns Dinner at the Executive Inn and Suites in Coquitlam, BC. Register and get your tickets! 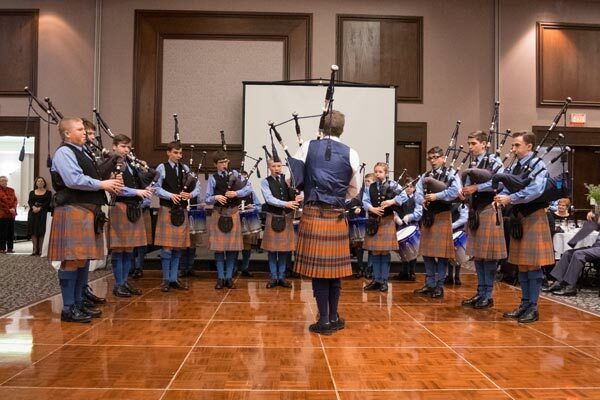 All proceeds from this event will benefit the RMM Pipe Band Organization. Thank you to everyone who purchased tickets for the event. 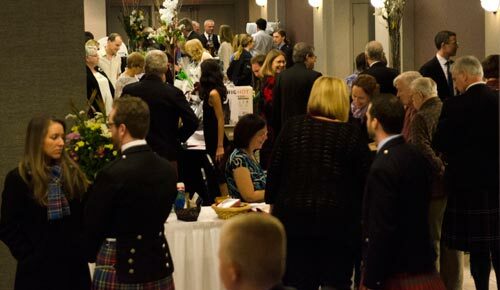 The Robbie Burns dinner and silent auction is now sold out. We have a wonderful evening planned and look forward to seeing everyone at the event. The​ ​pipes​ ​are​ ​calling​ ​you​ ​to​ ​join​ ​us​ ​in​ ​celebrating​ ​the​ ​life​ ​and​ ​work​ ​of​ ​Robert​ ​Burns​ ​-​ ​Scotland’s​ ​iconic cultural​ ​voice.​ ​Taste​ ​the​ ​haggis,​ ​watch​ ​the​ ​highland​ ​dancers,​ ​hear​ ​the​ ​words​ ​of​ ​Robert​ ​Burns,​ ​and​ ​listen to​ ​the​ ​pipes​ ​and​ ​drums​ ​on​ ​this​ ​five-star​ ​evening.​ ​What​ ​better​ ​opportunity​ ​to​ ​don​ ​your​ ​kilt​ ​and​ ​finest highland​ ​attire​ ​than​ ​a​ ​celebration​ ​of​ ​Scotland​ ​and​ ​its​ ​most​ ​famous​ ​poet?​ ​If​ ​your​ ​kilt​ ​happens​ ​to​ ​be​ ​at​ ​the drycleaners​ ​that​ ​evening,​ ​business​ ​formal​ ​attire​ ​will​ ​do.​ ​You​ ​won’t​ ​want​ ​to​ ​miss​ ​our​ ​incredible​ ​silent auction​ ​featuring​ ​the​ ​works​ ​of​ ​local​ ​artisans​ ​and​ ​small​ ​businesses.​ ​All​ ​proceeds​ ​will​ ​support​ ​the​ ​RMM Pipe​ ​Band​ ​organization.​ ​We​ ​look​ ​forward​ ​to​ ​an​ ​evening​ ​of​ ​Scottish​ ​fun​ ​and​ ​entertainment​ ​with​ ​you! 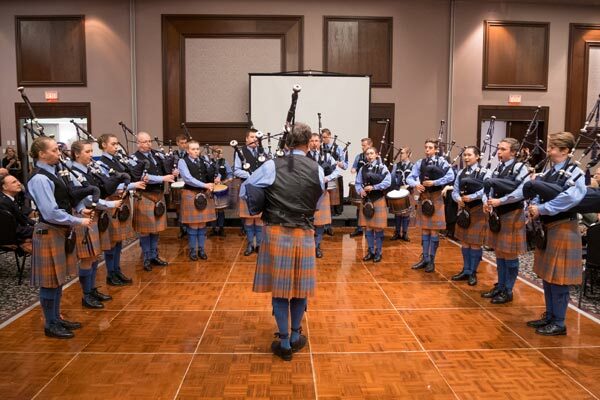 The​​ ​Simon​ ​Fraser​ ​University​ ​Pipe​ ​Band​​ ​has​ ​garnered​ ​a​ ​reputation​ ​as​ ​one​ ​of​ ​the​ ​world’s​ ​most accomplished​ ​pipe​ ​bands​ ​and​ ​a​ ​Canadian​ ​music​ ​icon.​ ​Having​ ​won​ ​no​ ​less​ ​than​ ​six​ ​world​ ​championships and​ ​recorded​ ​albums​ ​in​ ​some​ ​of​ ​the​ ​world’s​ ​most​ ​prestigious​ ​concert​ ​halls,​ ​the​ ​band​ ​continues​ ​to​ ​push the​ ​boundaries​ ​of​ ​the​ ​artistic​ ​world​ ​with​ ​Scotland’s​ ​national​ ​instrument.​ ​The​ ​SFU​ ​Pipe​ ​Band​ ​rose​ ​to prominence​ ​in​ ​the​ ​1980s​ ​before​ ​winning​ ​their​ ​first​ ​World​ ​Championship​ ​in​ ​1995​ ​and​ ​again​ ​in​ ​1996, becoming​ ​the​ ​first​ ​pipe​ ​band​ ​from​ ​outside​ ​of​ ​the​ ​United​ ​Kingdom​ ​to​ ​win​ ​the​ ​title​ ​more​ ​than​ ​once.​ ​Since then,​ ​the​ ​band​ ​has​ ​played​ ​at​ ​venues​ ​including​ ​the​ ​Sydney​ ​Opera​ ​House,​ ​Carnegie​ ​Hall,​ ​and​ ​the​ ​Lincoln Centre​ ​in​ ​New​ ​York.​ ​The​ ​band​ ​placed​ ​5th​ ​at​ ​the​ ​2017​ ​World​ ​Pipe​ ​Band​ ​Championships​ ​under​ ​Pipe​ ​Major Alan​ ​Bevan​ ​this​ ​past​ ​August. 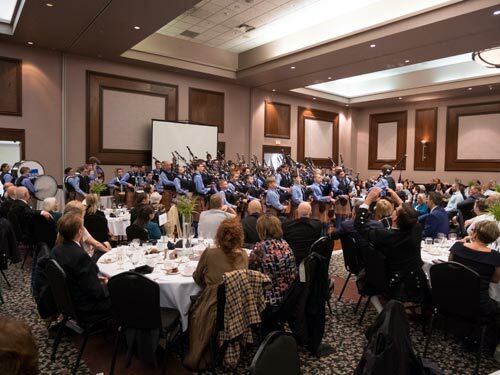 The​ ​Robert​ ​Malcolm​ ​Memorial​ ​Pipe​ ​Band​ ​is​ ​the​ ​SFU​ ​Pipe​ ​Band’s​ ​junior​ ​organization​ ​consisting​ ​of​ ​four bands​ ​and​ ​a​ ​beginner​ ​instructional​ ​program.​ ​The​ ​organization​ ​was​ ​founded​ ​in​ ​1994​ ​after​ ​two​ ​members of​ ​the​ ​SFU​ ​Pipe​ ​Band,​ ​Robert​ ​and​ ​Malcolm,​ ​were​ ​killed​ ​in​ ​an​ ​automobile​ ​accident.​ ​Since​ ​then,​ ​the​ ​band has​ ​grown​ ​into​ ​one​ ​of​ ​the​ ​world’s​ ​largest​ ​and​ ​most​ ​successful​ ​youth​ ​pipe​ ​band​ ​organizations.​ ​The Robert​ ​Malcolm​ ​Memorial​ ​Grade​ ​III​ ​band​ ​also​ ​competed​ ​at​ ​the​ ​2017​ ​World​ ​Pipe​ ​Band​ ​Championships​ ​​ ​in the​ ​prestigious​ ​Juvenile​ ​category​ ​taking​ ​home​ ​the​ ​Clyesdale​ ​Shield​ ​this​ ​past​ ​August. ​For​ ​more​ ​information,​ ​follow​ ​us​ ​on​ ​Facebook​ ​at​ ​RMM​ ​Robbie Burns​ ​Community​. To donate funds directly to the band you can visit our donations page for more information. 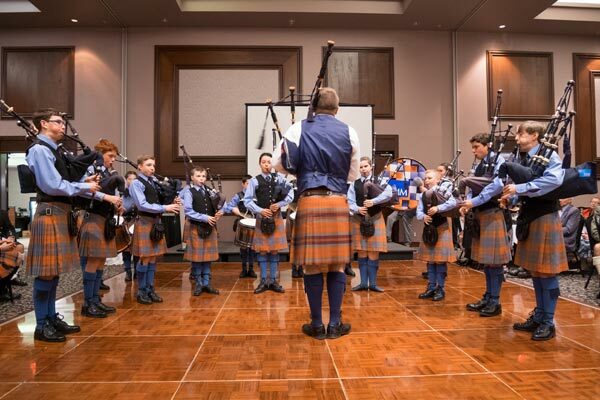 The Simon Fraser University Pipe Band is one of only four bands located outside of the United Kingdom that have won the Grade 1 World Pipe Band Championship. In addition, the band has placed second nine times, finishing in the top three in the world in 20 of its 35 years competing at the championship.